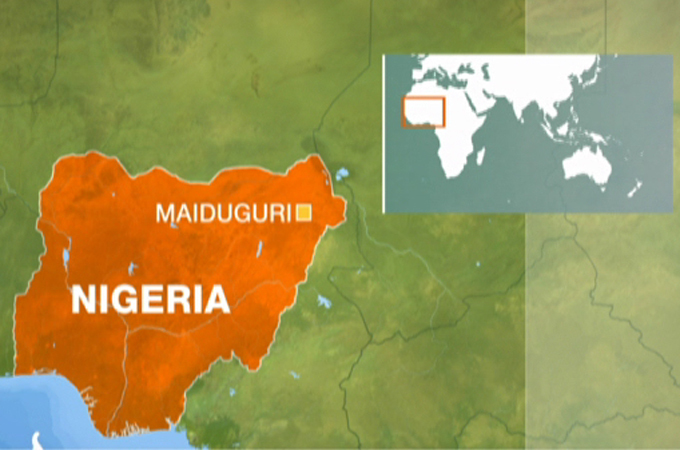 Another suicide bombing has hit northern Nigerian city of Maiduguri as a suspected member of the Boko Haram sect sneaked into the Maiduguri Abattoir at Cattle Market (Kasuwan Shanu) and blew himself up, killing 10 people and injuring scores. The incident happened on Tuesday at about 1:25pm when the market and the abattoir was crowded. The attack came less than 24 hours when a suicide bomber who attempted to sneak into Biu, one of the second largest town in southern part of the state was stopped by men of the civilian JTF who were on routine check, but he decided to detonate the explosives he was carrying killing only himself. Boko Haram insurgency in Nigeria has claimed over 15,000 lives. The terrorists have intensified attacks following the inauguration of President Muhammadu Buhari on Friday. The new leader who had a closed door meeting with the National Security Adviser Sambo Dasuki is expected to visit Chad and Niger tomorrow to discuss improved cooperation in the fight against Boko Haram.